A challenging exhibition program and new gallery space emerge - a theatre of contemporary jewellery spectacle. A meeting place for the contemporary jewellery community and the public. Co-founded by Anna Gray, Laila Marie Costa and Annelies Hofmeyr 2018. 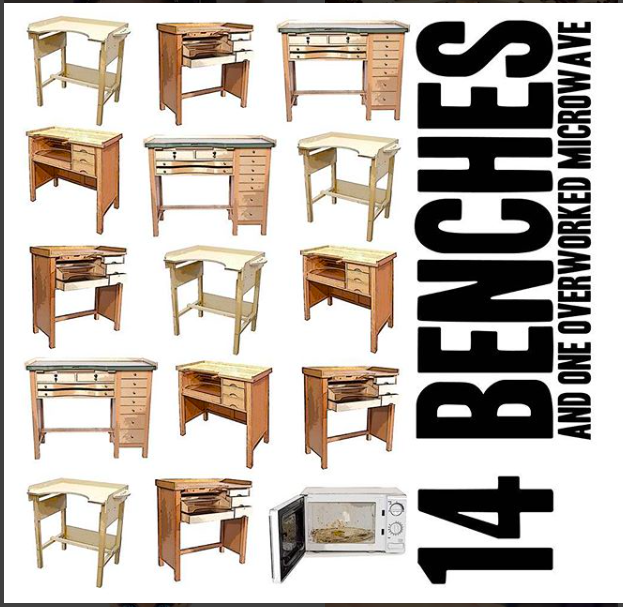 14 Benches and one Overworked Microwave took NC4 work, our stories and our attitude to Craft in Melbourne's CBD, and back to NC4 for an encore. April 2018 curated by Anna Gray, with steering committee of LMC and awesome graphics by Annelies Hofmeyr. Created for TempContemp’s second exhibition “Do You Copy”. Anna G and Me is an exploration and explanation of my jeweller/curator and achiever identity crisis! It’s all about jewellery and hanging with the ‘in’ crowd.